Golf. 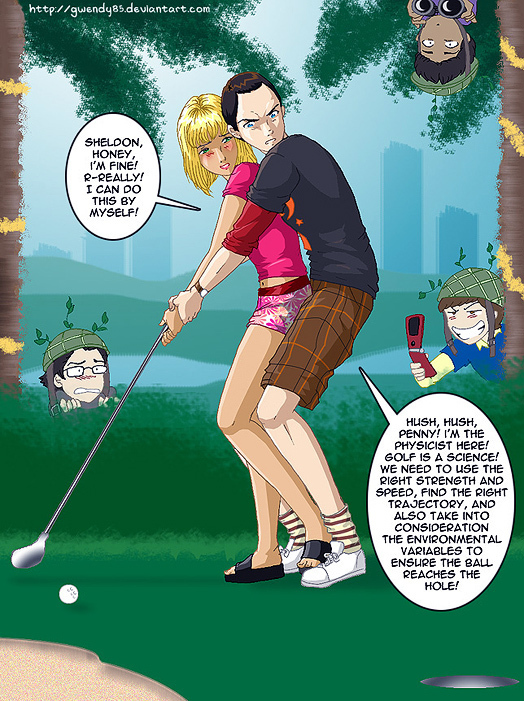 I'm not a big 粉丝 of the Penny-Sheldon couple, but I think this is funny.. Wallpaper and background images in the 生活大爆炸 club tagged: the big bang theory sheldon penny shenny fan art deviantart. I'm not a fan AT ALL of Sheldon and Penny as a couple, but that was so unexpected it made me smile. Like the other three in the background!